Screw-on Black Eye – Super Fisheye Lens + Black cover. The widest and strongest fisheye lens system for iPhone. 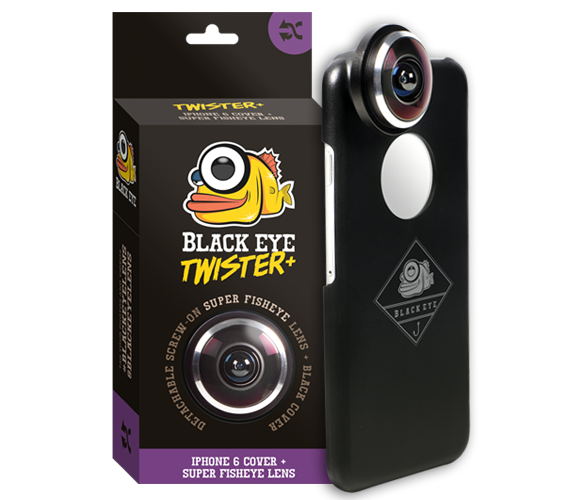 Package Includes: Detachable Black Eye – Super Fisheye lens, protective iPhone 6/5 cover, lens cover and microfiber bag. Eesti siseselt 3 EUR (Omniva) / 40 EUR või rohkem ostu puhul Tasuta (Omniva)! Eestisisene tarne maksimaalselt 3 päeva!